This 38 S&W cartridge by Prvi Partizan offers a 145 grain lead round nose projectile. 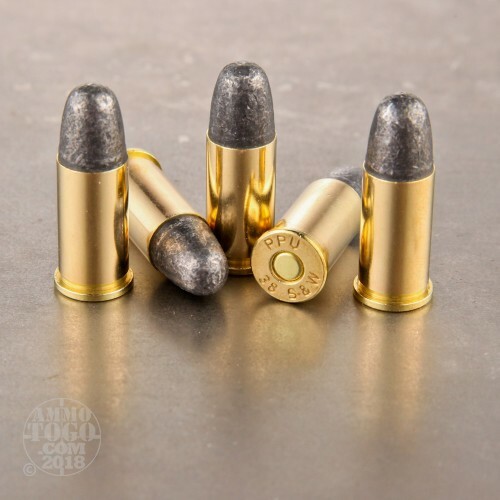 A lead bullet conveys more benefits than its appealing price tag; its exceptional density also results in superior momentum, and its softness means that it will deform within soft targets, making it not at all an unsuitable choice for self-defense. This bullet’s rounded tip enhances its ability to penetrate targets, and also delivers superior impact energy. 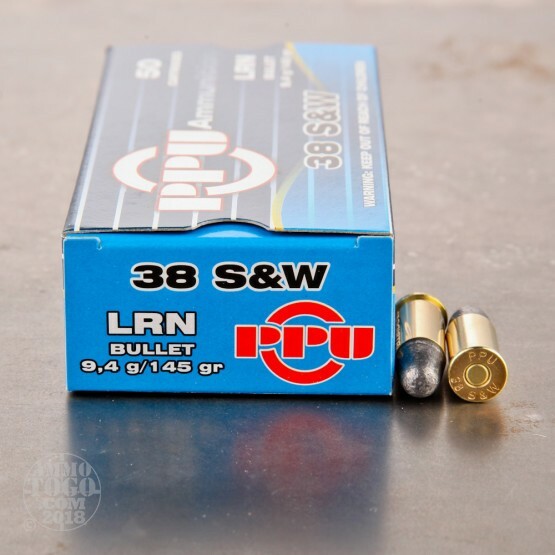 Although many would consider it “vanilla,” this type of bullet does indeed have much to offer. Prvi Partizan is one of Europe’s largest and oldest ammunition manufacturers, and their products are favored for every imaginable application worldwide. You can see why they’ve earned their good reputation by inspecting this round’s components: a high quality brass casing which you may reload several times; clean burning propellant that will preserve your weapon’s inner workings; and a sensitive Boxer primer which remain stay ready to ignite for ages. I collect and shoot vintage S&W and other similar "break opens". 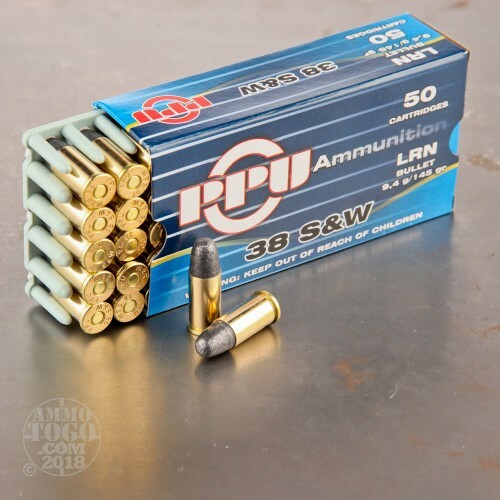 This ammo seems just right for my .38's. 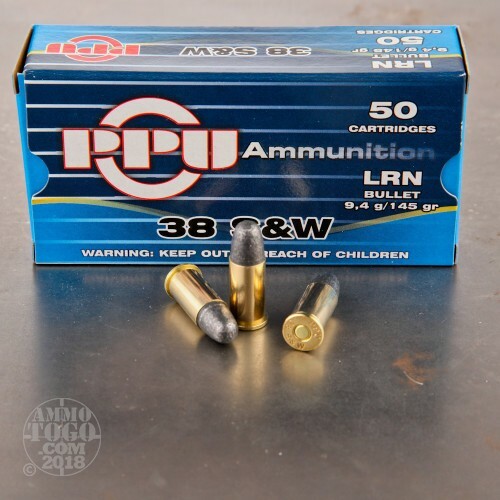 Excellent, inexpensive ammo for my old Enfield, Webley, and S&W Victory pistols.